Autism Experience: Level 3 Is The Place to Be! Level 3 Is The Place to Be! Conor's been home from the unit for 26 days now (that's 624 hours, but who's counting? ), and our days are slowly developing a routine and a rhythm. We've had our ups and downs, but thankfully he's behaved well so far. In addition to coming home with a suitcase full of clothes and a passel of gifts, Conor brought his treatment protocol. Forget the gifts, this protocol is gold. We trade it with therapists, aids, and each other like a baton in a relay race. "Do you have the token board, Jim? Have you seen it, OMG, do you know where it is?" I compulsively grill my husband throughout the day. 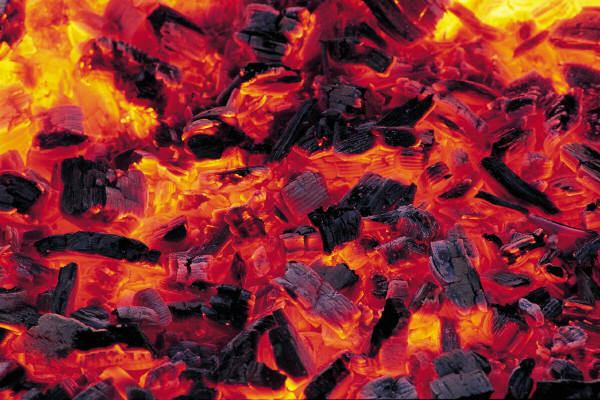 He loves it, like he loves being raked over hot coals and sharp nails. I'm thankful that the boards came with a carabiner so I can clip it onto my clothes and his backpack so it never gets lost. The protocol is deceptively simple. That is, it doesn't sound like rocket science until you try to implement it all day, every day. Combine the token boards with Conor's budget rules and superstar outings, and you can melt your mind trying to figure out all the intricacies. And if we try to gloss over the details, don't worry. Conor knows the protocol inside and out, and if you even give a centimeter, he'll start pushing and pushing and pushing that boundary. Hmmmm, sounds a little like childbirth, doesn't it? It's certainly just as painful. Conor's behavioral team put him on a "level" system. On Level 3, he earns tokens, and has access to toys, TV, fun stuff, and attention. If he earns enough tokens, he gets 30 minutes on his beloved screens... his computer, his iPad, his Nintendo DS, or the Wii. His much-desired "treasure chest" time. If he engages in any destructive behavior (tearing paper, writing on walls, throwing things), aggression, self-injury or elopement, Conor gets demoted to Level 2. On Level 2, he does not earn his token, and loses access to toys, TV, fun stuff, and attention. He has to be calm for five consecutive minutes before he can be back on Level 3. There's no Level 1. I have no idea why. Maybe Level 1 is hell, or what I like to call Wal Mart. You've been really really bad Conor, pass Level 2 and go right to Wal Mart. On the unit, Conor decided he loved Phineas and Ferb. So he earns Phineas and Ferb tokens for good behavior. He started out earning tokens every half hour, and they bumped it up to each hour by the time he was discharged. According to our outpatient services behaviorist, this is a "thin" schedule. I guess some individuals can be rewarded every 30 seconds or every minute! Mon Dieu, can you imagine the effort? I have trouble remembering to get my hair highlighted every three months, for Pete's sake. So, according to this token board (above), Conor has been in Level 3 for six consecutive hours, earning two Treasure Chest times and two superstar tokens. That's right, you heard me. There are even more tokens. Not only is Conor reinforced by screen time, he loves loves loves going into the community for outings. Dispel any myth you might have about individuals with autism wanting to stay in their rooms all day long. I'm sure there are those that do, but my boy loves himself an outing. This picture shows that Conor was on Level 3 every hour from early Monday afternoon to Friday morning. He has to earn at least 80% of the tokens to go on the outing. You don't mess with the outing. At least, Conor doesn't. Every week, it's a different choice, and it seems rather random about where Conor would like to go. Inevitably, it usually leads back to a calculator, music CD, or a puzzle. This Monday he wants to go to Staples to (drum roll please)... buy a calculator. We have to track how often he buys these treasured items, but that's a whole 'nother protocol. See what I mean... deceptively simple, remarkably complicated? Finally.... we are trying really really really hard to control Conor's constant requesting. I mean, my kid could be a dictator of a third world nation. He will hound you to the death. Some of it is to try to figure out why you're making the decisions that you do, but most often, he's trying to wrangle his way around a ruling you just made. My kid may have a major communication disorder, but man, is he smart. 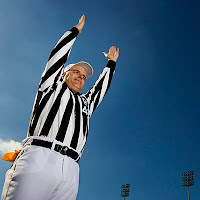 I'd rather referee the SuperBowl than try to discuss these rulings with my twelve year-old. It's gotta be less painful having a 300lb linebacker run you over than to answer these questions for an hour. Or two. Or three. "When can Conor go to 59 St. Bartholomew's Road?" "Want to bite Stephen M.!" This is the final token board (below). Yes, that's right, another one. Each time Conor makes an inappropriate comment, he loses an iTouch token. If he has at least one token left on the board after two hours, he earns ten minutes on his iTouch. These iTouch tokens can be taken away, rather than earned. If he continues to request the same or new items, he loses tokens. I think. I have to look that one up. See? See? There's so much to juggle and remember. 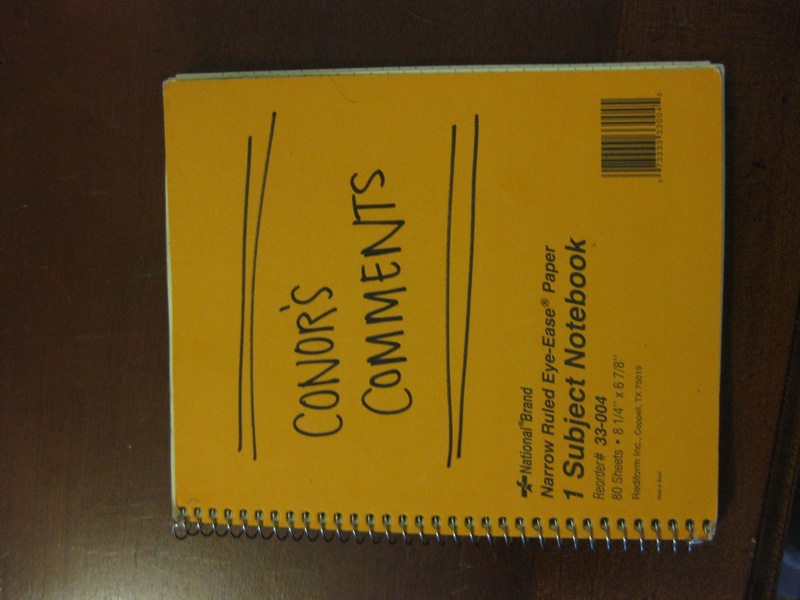 In any case, this is Conor's third Comment notebook since they started the protocol. Who can keep track of all this? We all have to. 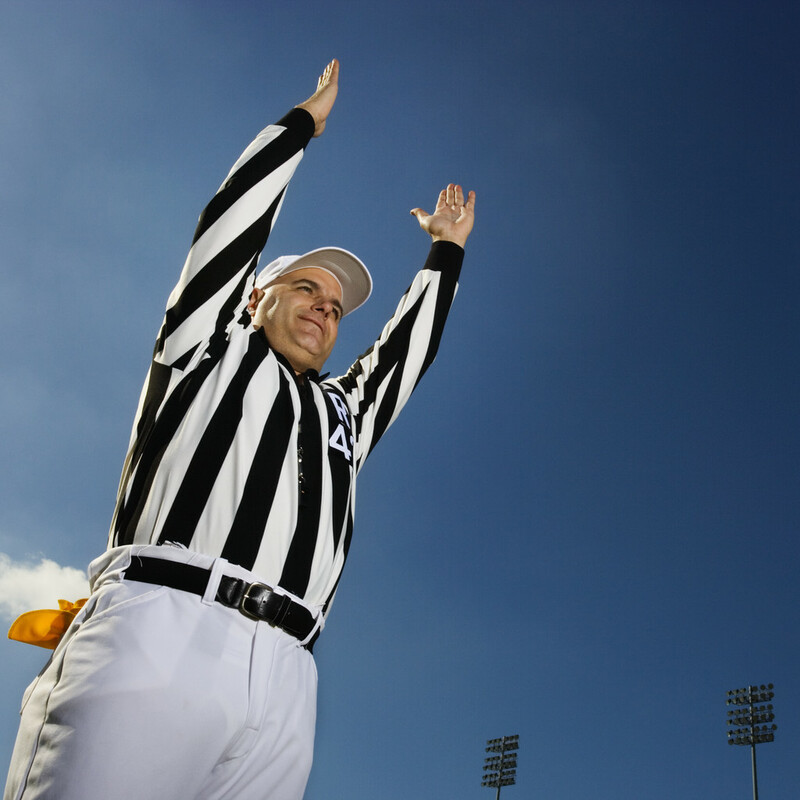 Home, school, therapists, respite care workers, camp counselors... consistency is the key to success. We do it all day. Every day. Every hour. Holidays. Weekends. Evenings. Sunday mornings. From the time he wakes up until he closes his eyes at 9:15pm.You get the picture. So far, things are going well. But don't worry if you step out of line. Conor will be sure to correct you. 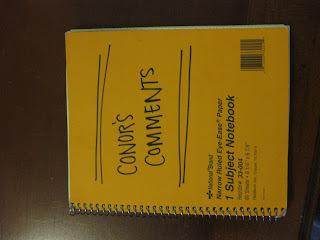 Conor reads his rule binder every day. It's remarkably good at explaining the protocol. But since he knows it very well, he reads it really really fast. Check it out. This is so great. It sounds like he is doing really, really well!